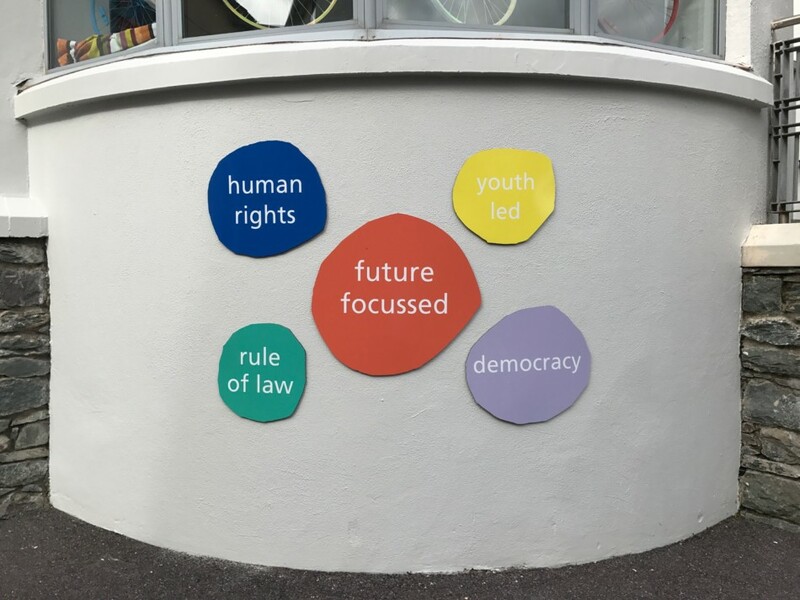 eur Óg is Ireland’s first ever youth centre to be associated with the Council of Europe. It’s an honour that we worked really hard for because it means a lot. It mean we can bring home all kinds of awesome new ideas and projects. And it means we can connect our young people with others all across Europe. We’re all about creating opportunities, expanding the lives of young people and communities. We work with and not just for our young pe ople. Everyone has a voice and our young people learn by leading and doing. We call it co-designing and its important. Young people shine bright with us. Our young people are front and centre always. eurÓg seeks to guarantee the right of young people to full and reliable information, which helps them make many choices they face in their lives. We empower, we provide the tools and the platform. We help young people find their voice and use it. We help connect young people to society, to Europe, to each other and to all kinds of new opportunities. We work with and not just for youth because democracy and participation are core to what we do. Together we create a new kind of space where confident, inspired young voices dominate. We’re setting new standards in youth services, and we’re doing it in a new democratic way that sends ripples of positivity and empowerment out into the wider community. That’s what makes us exciting, our Young People, the young people of Kerry & beyond are creating a bright, fair future and leading us into it.